Can You Please Put Some Sugar on This Crap? I guess someone told Fox that they are getting a lot of advertising dollars from the pharmaceutical industry, and what I had to say might not make some people happy. I had some time I didn't expect to have yesterday since my anticipated appearance on Fox's Mike and Juliet Show to talk about the link between the acne medication Accutane and depression and suicide was canceled, so I thought I'd write about how my day was going so far. I guess someone told Fox that they are getting a lot of advertising dollars from the pharmaceutical industry, and what I had to say might not make some people happy. At first they asked if I would like to go on the show and "debate" someone. When I didn't seem too excited about that they said they would "get back to me" and then later left me a voice message saying that I wouldn't be going on the show but that I would be "credited" for my work. So I checked out the clip on the internet, and low and behold Fox set up the story by starting out with a family's complaints about Accutane causing their son to commit suicide, followed by an attractive dermatologist named Cheryl Karcher, MD, who sat there in her white coat and said "I'm soooo sorry for the Zimmers but there is no evidence that Accutane causes depression or suicide." Well, I thought to myself "who the hell is this person?" I mean, she didn't even offer any reasons for her opinion, and we are just expected to sit back there and say "OK!" Was she a researcher? What was the basis for her opinion? I asked myself. So I looked up her bio on the internet and found that she was a "nationally recognized expert" whose qualifications included acting as a consultant to the Miss Universe Contest! 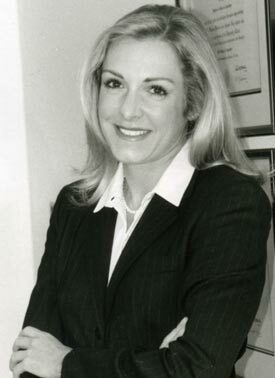 The bio went on to state that "Articles detailing the results of Dr. Karcher's research have been published in numerous peer-reviewed scientific journals including The New England Journal of Medicine, The Journal of Investigative Dermatology, and The Journal of the American Academy of Dermatology." Well I looked her up on pubmed and I couldn't find any articles that she had written. Then I realized that by saying "results of her research" might indicate that she was part of a clinical trial but wasn't listed as an author of the paper. Like the 5,000 authors of the advantage trial of Vioxx? Pretty misleading! Next FOX-y Juliet said "after the break, see pictures of what your brain looks like on Accutane." Well I thought, that's great, maybe we'll get a little more balance in this story. Little did I know that the worst was yet to come. After showing images of my brain scans showing how Accutane is associated with a decrease in function of the frontal lobe, a part of the brain that regulates emotion, they had a psychiatrist named Petros Levounis, MD, come on the show and state that yes, Accutane changes your brain function, "but I 100% agree with Dr. Karcher that there is no evidence that Accutane causes depression or suicide." Again, stated with absolutely no reason for his opinion! A quick check of Dr. Levounis's profile showed four publications, none of which were about Accutane. I mean, viewers are supposed to look at the victim family and look at the doctor and say "OK, poor family but the doctor says there's nothing there, so I'll believe the doctor." I have presented the evidence elsewhere that Accutane is associated with depression and suicide. So if people want, they can go read it themselves. I have never met anyone who wasn't on the payroll for Roche who has read the evidence who doesn't agree, and I have never met any dermatologist who could look me in the eye and tell me that she never had a patient become depressed or feel like they were in a haze while on Accutane. So there you have it, folks. Out-FOXed again. That is how the media presents things to you. Nothing is ever "proven" and there are always two viewpoints that balance each other out. So, the next time you turn on your tube to feed yourself, why don't you send FOX an email asking "Can you put some sugar on that crap you're feeding me?" I guess we got it, sort of, with Dr. Karcher.